Dimensions: 18 in. x 4 ft.
Dorm room decor is about more than your dorm bedding and college posters. Sure those dorm essentials make up a large part of your dorm room decor, but little things like dorm shelf liner also make a huge difference. Yes, dorm shelf liners can add to your dorm room decor! College shelf liners can do more than hang out in the bottom of your dorm dresser drawers and protect your clothes from damage and stains. Although they are pretty good at that too, they can also be put on top of your dorm dresser and even your college desk to protect your college provided dorm items. You definitely want to take care of those college provided dorm necessities as if they were your own- you don't want to college hefty damage fines at the end of the college year and with our Grip Print Shelf Liner in Abbey Sage, you can help prevent those fees from acquiring. How can a simple college supply like dorm shelf liners help prevent damage to your college provided dorm items? Well our Grip Print Shelf Liner in Abbey Sage is stain resistant, washable, and protects the surface underneath from stains. Of course if you spill something you will want to clean it up right away, but with dorm shelf liner you have peace of mind that there won't be water rings on your dorm desk from your water bottle. 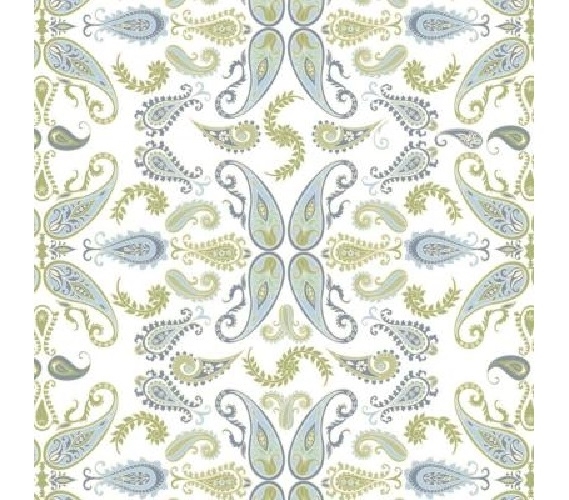 Our Grip Print Shelf Liner in Abbey Sage is also non-adhesive which is an important feature in your dorm shelf liners. You don't want to peel up your dorm shelf liner at the end of the school year and find that you've taken some of your college dresser with you. That would defeat the purpose of the dorm shelf liner. Instead, this handy college supply naturally grips the surface it is put on, therefore saving you stress at the end of the college year! 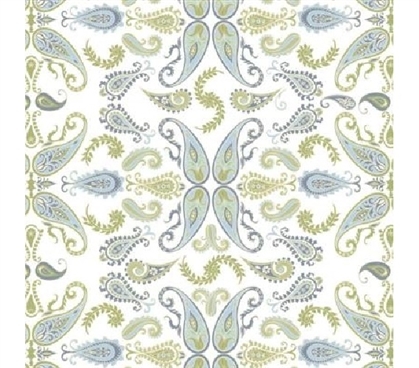 Plus in a delicate light blue and pea green paisley pattern, you will have a pretty addition to dorm room decor!